Thank You from Krause's Cafe! Thank You from Krause&apos;s Cafe! Krause&apos;s Cafe is celebrating 2 incredible years and now they are giving back to their customers! Beginning January 8, receive one free entree* with the purchase of another of equal or greater value. 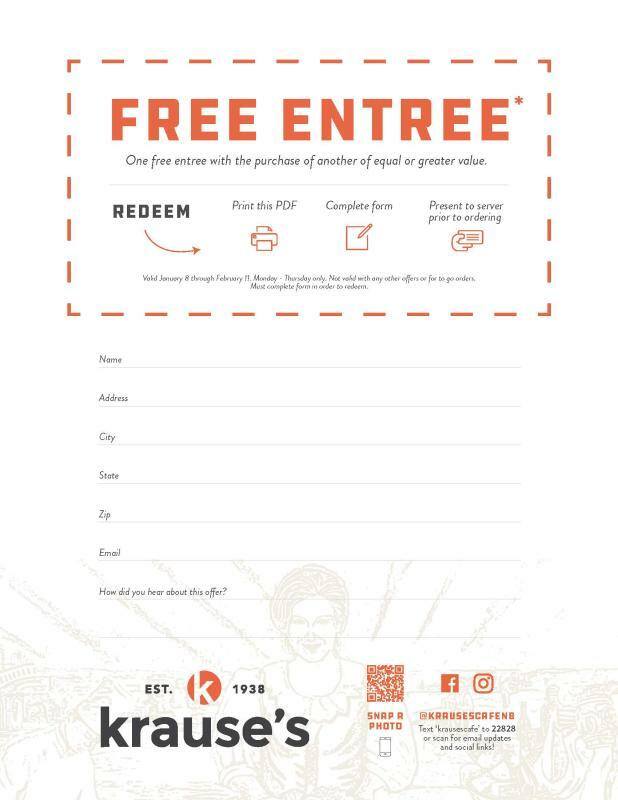 You MUST complete the form below to claim your free entree. This offer is good Monday-Thursday and cannot be combined with any other offers. Krause&apos;s will honor this offer between January 8 and February 11.